The latest installment in our pop-up bar series at off-the-beaten path locations across Ottawa. 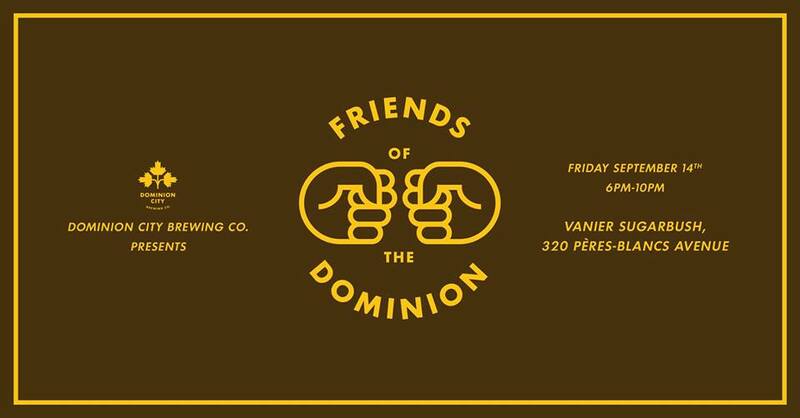 Join us at a sugar bush in the heart of the city for a one-night pop-up bar in an urban forest featuring very good beer by Dominion City pouring alongside a selection from some of our favourite Ontario breweries, cideries and wineries. Your ticket includes your first Dominion City pour and bites prepared by Chef Sophia Conradie. Additional beer and cider pours are $7 each, wine is $12. Guest tap list TBA soon. We’ve teamed up with our friends at Muséoparc Vanier who operate the sugar bush to host this special one-night event. Proceeds will support this important community organization. For those unfamiliar with the location, the cabane à sucre is a hidden gem in our city. The only urban sugarbush in North America, we’re fortunate to be able to use this space for an event replete with good food, drink and vibes. The event will feature an outdoor beer garden as well as making use of this historic building. Join us! Only 100 tickets available.